I have not updated my blog for a while - about 5 months! 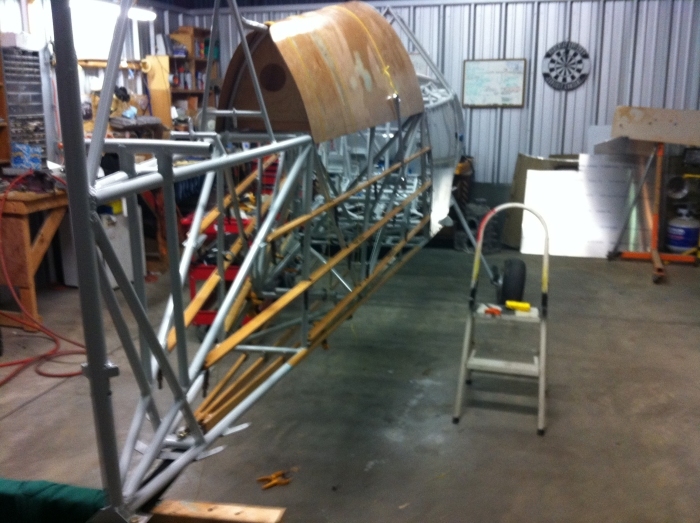 But I have been industrious on the build. 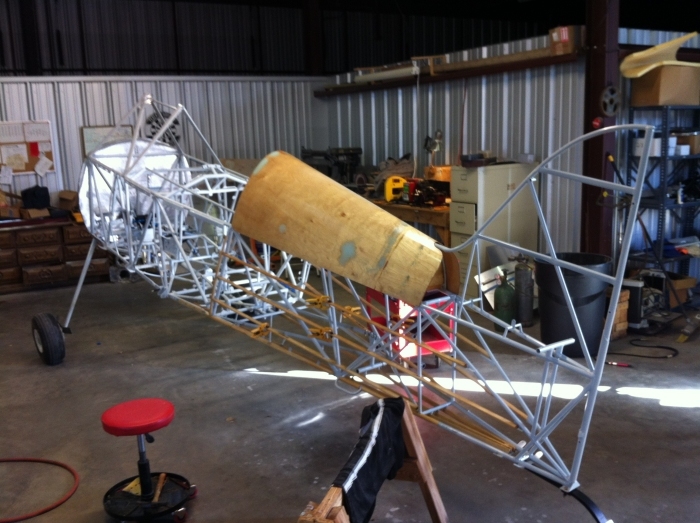 The fuselage went for powdercoating a while back, the firewall engine mount and landing gear are permanently installed. The boost pump is fitted and plumbed in ready to accept the gas tank with a fitting on the other end waiting to pass thru the firewall. I decided to back the firewall with some fireproof matting. 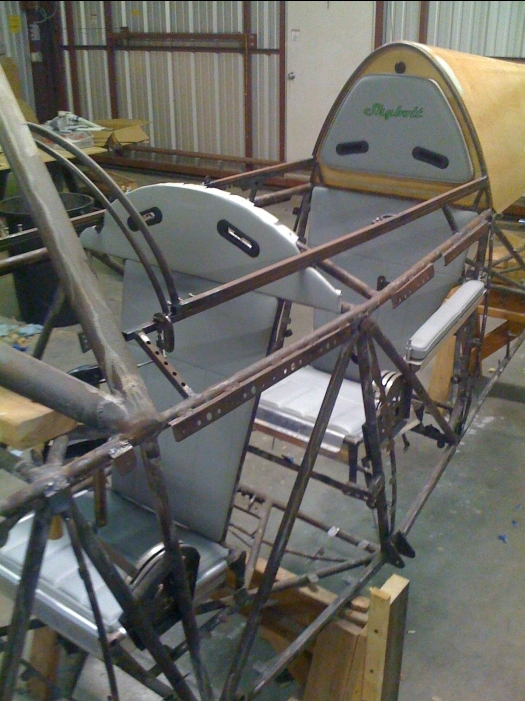 The throttle quadrants are installed, the seat pans have been installed (riveted in - what a pain that was), the gas valve has been installed with a remote extension rod, and all stringers are installed. The tdeck is installed. It really is nice to install things that are not coming off again - a bit of a novelty! 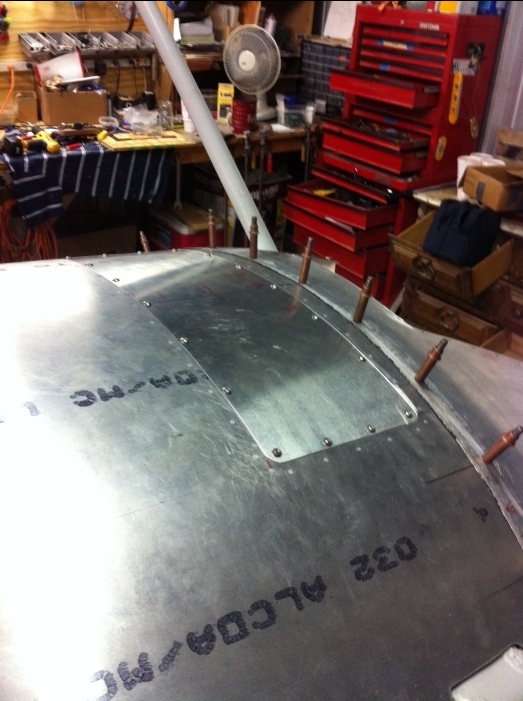 On the belly skin, I made an access panel so I can get to the boost pump. 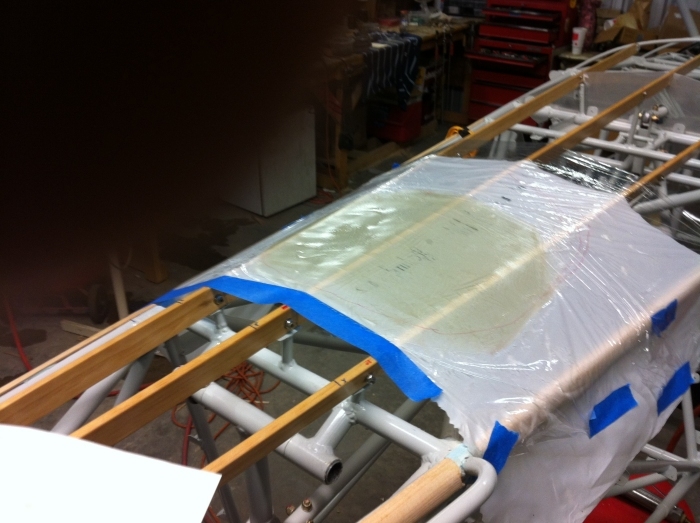 I made and prepared a fiberglass frame to attach to the aft belly fabric under the walking beam for potential future access. Currently I have been introducing myself to fabric and at the same time learn how to cover the problematic t-deck/vertical stab transition. I did some partial test coverings. The first cover went well, since it highlighted where I needed to shim underneath the fabric; notably, I had to build up the vertical stab ribs with balsa (thicker on one side, due to the stabilizer offset), and I extended the t-deck at the rear by adding 2 'tails' so as to aid fabric transition. 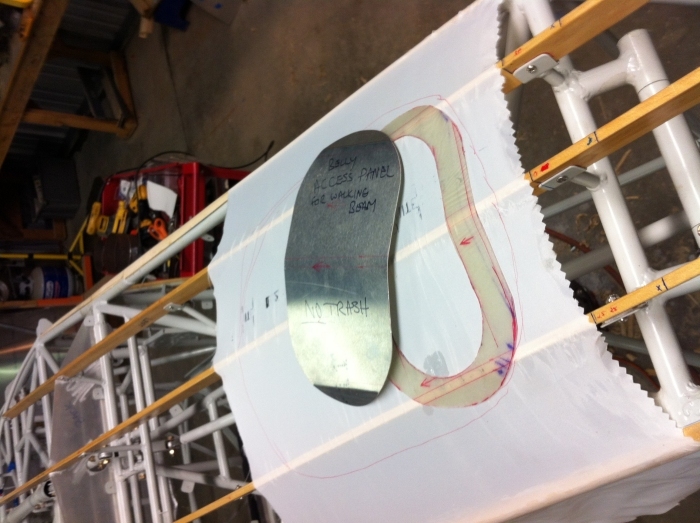 Due to the vert' stab offset, these 2 tails are very different in shape, the shape was determined by plotting on the shrunken fabric with a straight edge from the turtledeck. The second fabric test cover confirmed I had gotten everything right. The problematic t-deck/vertical stab transition was of course problematic :0| but I finally got there. I even managed to accomplish it without adding the football fabric patch that I have seen in that location on many planes. I plan on leaving the test fabric on so I can play with bias tape; I just ordered some bias tape..it felt like a car payment! 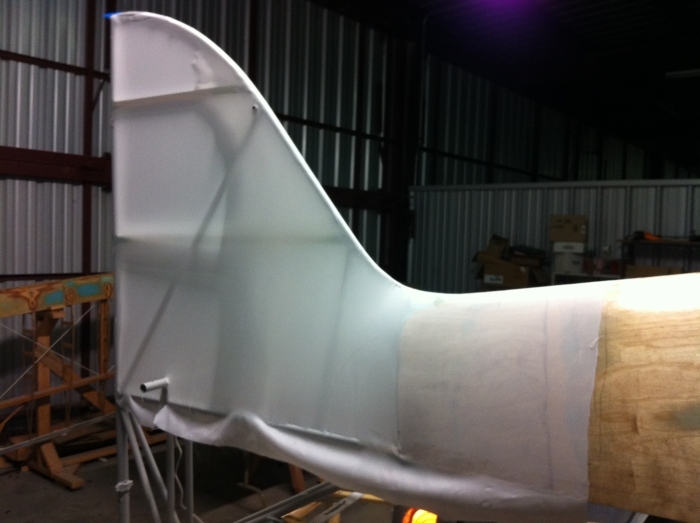 Looking ahead to the year, I think some of the final fabric will have been completed up to primer. Did I mention it was cool to install stuff that ain't coming off again?